The promise of restaurant Aux Happy Days is to offer a short menu, fresh, friendly atmosphere, a generous plate, and at reasonable prices. 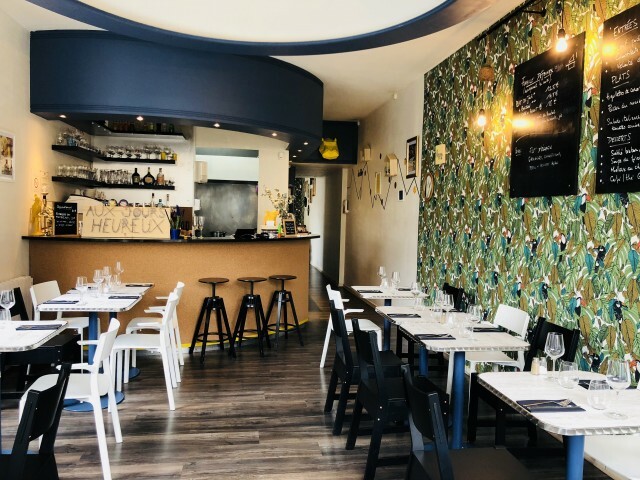 Located in the Madeleine (Rosemary) 2 steps from Lille, come back into the atmosphere of family meals, friends, rediscover Uncle entries, simmered mom dishes, desserts and granny those beautiful evenings with friends! We will work as much as possible of the products of both seasonal and regional. Respect plant and animal nature and will respect us.